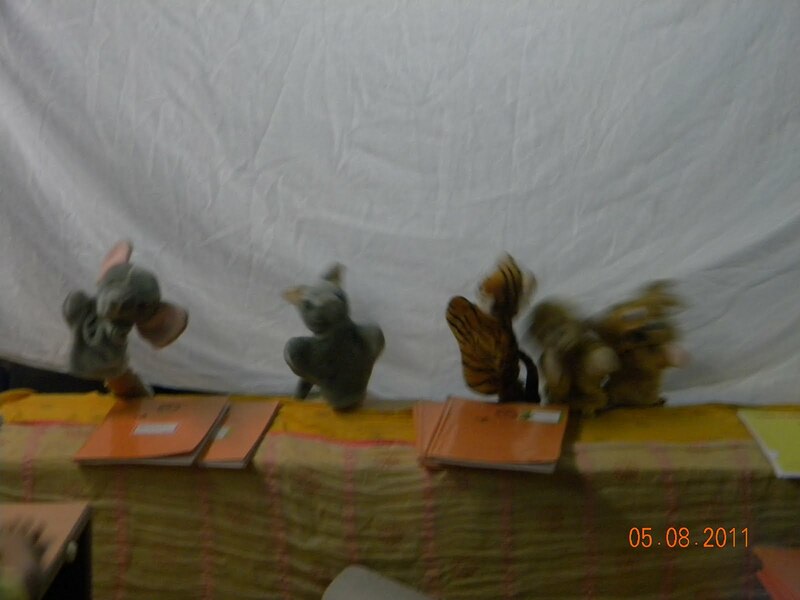 Puppets-animals (soft toys - Elephant, rabbit, cat and monkey). Moral values-caring, loving and togetherness. Subject: The main objective was to make children aware about friendship day and instil in them the values of friendship through a medium of fun and entertainment. A different medium i.e. 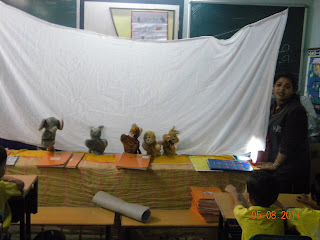 shadow puppet show was chosen by the teachers to make the concept more interesting for the children. Soft toys (puppets) were used as aids and a short story of 15 mins. was enacted. The story was enacted in one of the Sr.Kg classrooms and 2 classes at a time to avoid the chaos and each child could comfortably watch the show. Conclusion: Children enjoyed the musical show.